The prospect of traveling to far off destinations can be exciting and somewhat daunting at the same time. 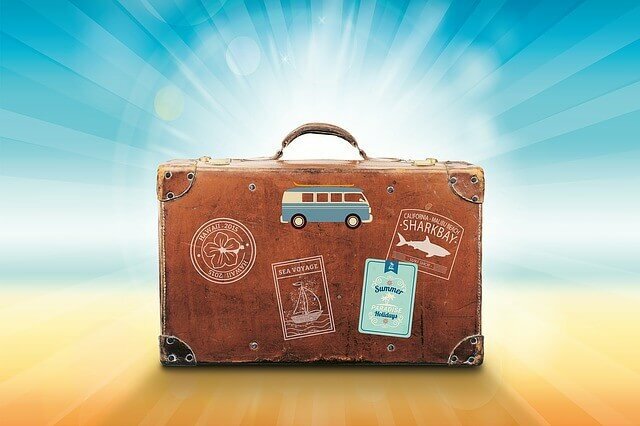 You may not think about what to pack for a short weekend trip until a day or so before you leave, but it can take weeks to figure out what to pack for a long trip if you don’t have a proven travel packing list handy. Most of us over-pack or under-pack – there’s no in between. However, over-packing can result in extra luggage charges and unnecessary hauling of heavy bags and suitcases. It is usually – literally and metaphorically – better to travel light. However, you need those essential items on hand if you’re going to be away from home for a while. Even if you’re a seasoned jet-setter, having a reliable travel packing list on hand is always helpful. Bookmark this packing list so that you can refer back to it often. 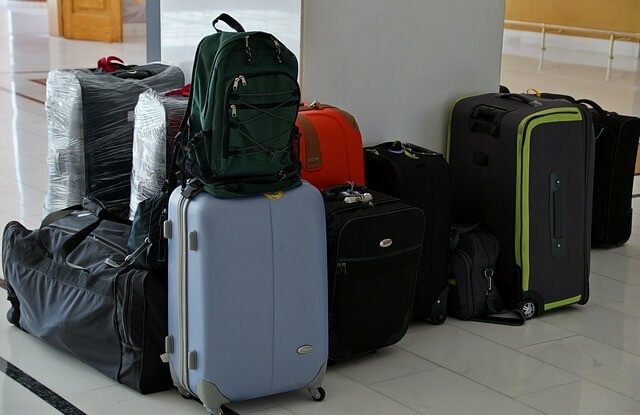 Before you can pack for your trip, you need to ensure that you have the right luggage. That should be the first thing on your travel packing list!The best type of luggage is lightweight, versatile and big enough to hold everything you need to take with you from the list below. The last thing you want is to drag a heavy bag with a broken wheel and loose items falling out from the busted zipper. When you buy luggage for a long trip, invest in good quality and make sure it has a good warranty. 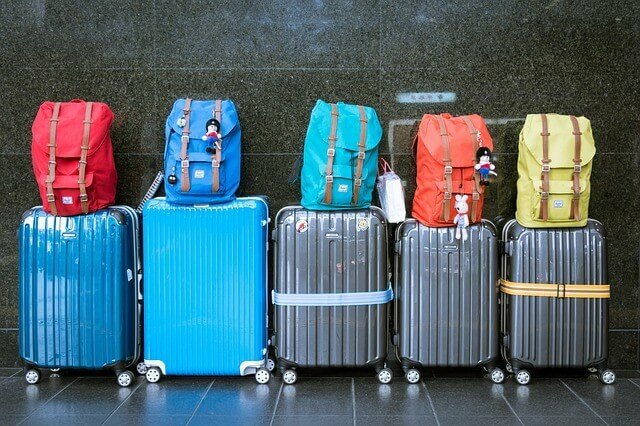 What types of luggage are suitable for a lengthy trip? Rolling Luggage: Wheels take the heavy lifting out of lugging heavy luggage on lengthy travels. It’s especially handy when you know there are paved roads and sidewalks in the city in which you will be traveling. 4-Wheel Luggage: It can be difficult to balance between packing everything you need and being able to carry it all. Luggage with four wheels can make it much easier to effortlessly roll the bag alongside you. Wheeled Backpack: This type of luggage is the perfect option when you are unsure about the conditions of the place(s) you’ll be visiting. It is adjustable to different terrains, so you can pull it through the airport and put it over your shoulder when you hit the city’s cobblestones. Duffel Bag: Duffel bags are as convenient as wheeled backpack, as you can also carry it over your shoulder, or put wheels on it. Travel Backpack: If you’re not packing too heavily, a travel backpack eliminates the additional weight of wheels and gives you more versatility and hands-free mobility. Carry-on: Carry-on luggage is handy, as you can keep important items handy to save time at the airport. Also, it’s a good way to guarantee that the airline from losing your bag. In years gone by, it was difficult to pack for a long trip, especially abroad. These days, many devices that you would otherwise have needed are compactly stored in your phone, including your language guide, reading material, calculator, flash light, camera, and diary / journal. That gives you a bunch or items to cross off your travel packing list. 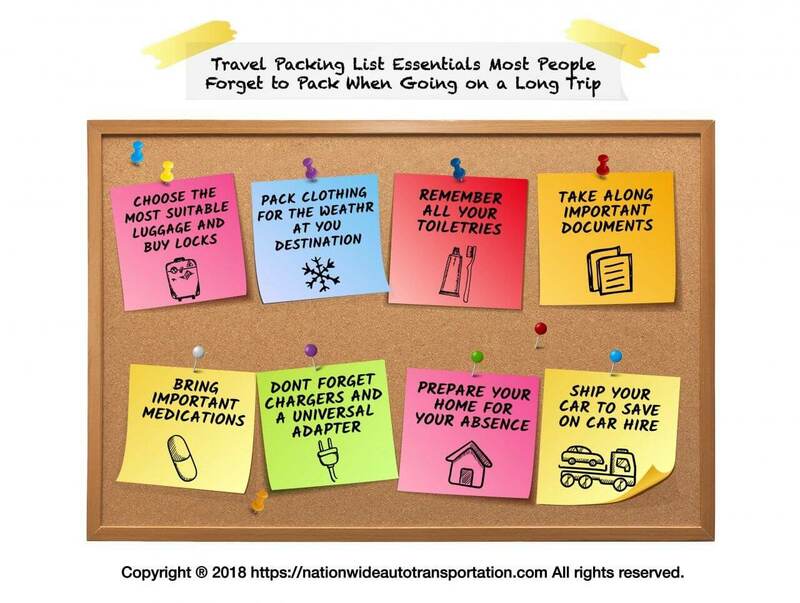 In addition to all the basics you’ll need – such as enough warm and cool clothing, and toiletries, of course – our list contains all the other important things most people forget to pack when going on a long trip. If you’re going on an extended trip with many activities, you will probably have plenty of gear on your travel packing list. Keeping it all organized can be quite a challenge. Using packing organizers to arrange and compress your clothing can help you fit more items into your bag. Packing organizers can also speed up your packing time during your travels and alleviate an entire reorganization every night. Simply slide organizers into the drawers when you unpack or pick up the organizer and place it in your luggage when you pack up. Packing organizers are zippered bags that keep your luggage neat while providing quick access to the items you need. Vacuum sealed bags serve the same purpose, and if they are clear, you can see what’s in every bag before you open it, saving even more time. What are the basics you should pack when going on a long trip? #1: All your paperwork – Identity documents, travel documents, bank information, credit cards, medical information, driver’s license, insurance information. #2: Chronic medications to last for the duration of your trip, as well as a copy of the prescription from your doctor. #3: A first aid kit with thermometer, cold medicines, throat lozenges, laxatives or diarrhea treatment, allergy medication, and sleeping medicines. #4: Chargers for your phone and camera and a simple power adapter. #5: An outfit or two that makes you feel confident. #6: A reversible swimsuit (unless you have space for two). #7: A water bottle with built in filter. #8: A portable WiFi hotspot. #9: A sand-proof, compact towel. #10: Travel size hair styling kit. #13: Toiletries (don’t forget: tooth brush, razor, face cloth, hair brush). #14: Contact details for your nearest embassy, if you’re traveling abroad. The weather in your destination will determine what types of clothing and protective wear you should take with, as will your lodgings. If you’re headed to a tropical island paradise for a few months, you may need mosquito repellent, flip flops for the shower and a tent and blow up mattress. However, if you’re headed to the colder climes, you might want to invest in thermal underwear, beanies, and gloves. Preparing your home for your extended travels is a key to enjoying your trip. By taking care of everything that might go wrong, you will have peace of mind while you’re away. If you have not yet bookmarked this travel packing list, do it now. 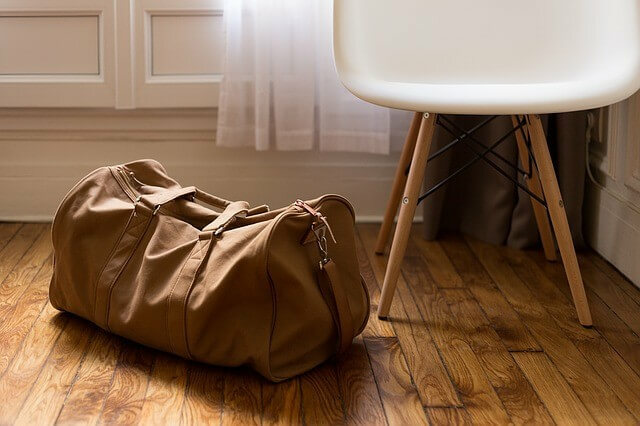 Not only will it remind you of what to pack when you go on a long trip, but it will also help you keep your home safe while you’re traveling. How do you prepare your home for your extended trip? Arrange the proper care for your plants, pets, lawn, and pool. Stop all deliveries to your home. Set a timer on your lights. Turn down the heating and cooling. Turn of the taps to your washing machine, dishwasher and ice-maker. Empty the refrigerator of all foods that might expire. 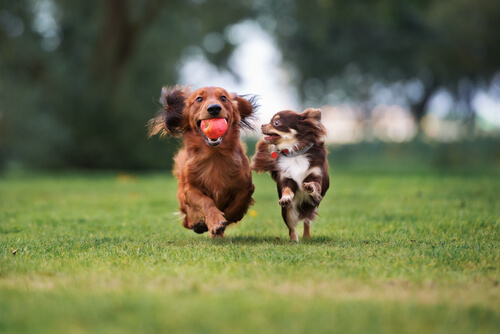 Leave a set of house keys and your itinerary with a friend or relative. If you’re going on a long trip, you may want to consider shipping your car across. Why? Because it will save on car hire or public transport and it will give you the freedom to roam your surrounds at your leisure. When you pack for a long trip, consider all the home comforts you can’t live without on your travel packing list. Get them in travel size, and bring your car along. In some cases, you can even ship some items in your car, thus saving on extra baggage fees.Get Quote Now!